A few days ago, AMC released special Comic Con art for The Walking Dead, which revealed October 22nd as the Season 8 premiere date. It's all-out war when the popular drama series returns for its 100th episode. 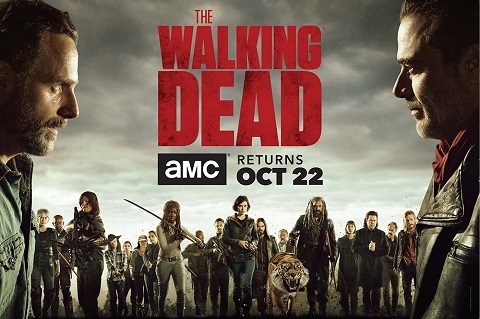 The network also teased the new season of The Walking Dead in the official Comic-Con trailer. Watch it below.